Film director Alexander Payne was born in Omaha, Nebraska, and he is famous for using the state as the backdrop for many of his films—“About Schmidt,” “Nebraska,” and “Election” just to name a few. From the rolling prairies and small towns (which are perfect for road trip scenes) to life in the city of Omaha, numerous directors have used Nebraska as the backdrop to tell their stories. Here are the 9 best movies filmed in Nebraska! In director Alexander Payne’s “About Schmidt,” Jack Nicholson’s character lives a safe, predictable life in Omaha, Nebraska. Upon retirement, he is forced to take a long hard look at his life and embarks on an RV journey to Denver, Colorado. This Kevin Costner hit film is based on the life and death of Brandon Teena and was filmed in South Dakota and Nebraska. In “Election,” Reese Witherspoon plays Tracy Flick, who is running for student body president of an Omaha high school in the film. 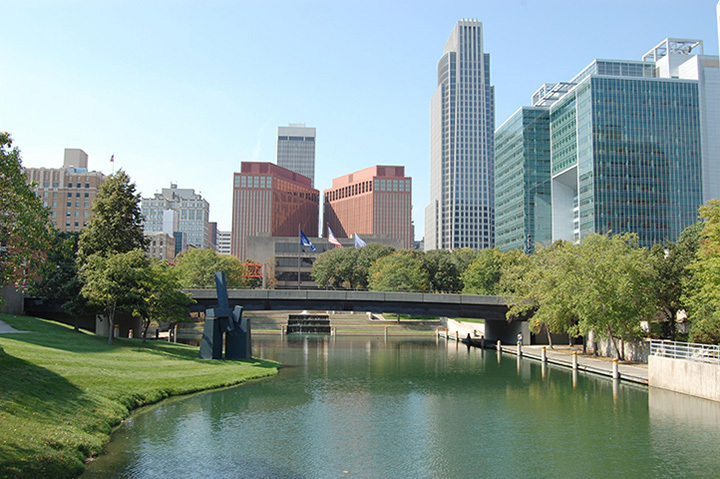 Filming locations include Omaha (Linda’s home), Memorial Park in Omaha (where the high school soccer team plays), a pizza restaurant in La Vista, Nebraska, and many other Nebraska sites. Now, of course, a movie titled “Nebraska” has to be filmed in Nebraska! Alexander Payne is the director behind this film as well and stars Bruce Dern and Will Forte who take a journey across the state, which serves as the backdrop throughout the entire film. Viggo Mortensen is the main star in “The Indian Runner,” a film set in 1960s Nebraska. The movie was written by Sean Penn and parts were filmed in Omaha, Nebraska. The 1938 film “Boys Town” stars Spencer Tracy, who plays Father Flanagan, and Mickey Rooney, who plays Whitey Marsh, in this classic story about “Boys Town” located in Omaha, Nebraska. “Up in the Air,” the story of Ryan Bingham, a corporate traveler played by George Clooney, features scenes at Eppley Airfield in Omaha, Nebraska. In this cult classic, two good friends Harry and Lloyd take a cross-country trip from Providence to Aspen, Colorado and a few of the mishaps that happen along the way were filmed in the state of Nebraska. In the wild Johnny Knoxville/Spike Jonze creation, Bad Grandpa, 86-year-old “Irving Zisman” takes an unforgettable trip from Nebraska to North Carolina to take his grandson back to his real father. Filming locations include the Nebraska state capitol, Lincoln. View more Nebraska Movie Theaters.